In this new blogging venture I’ve started (you can read more about it here), I’ve decided to focus only on things that really interest me – things that I’m really passionate about. And, since I happen to have been married to the same man now for almost seven years (and he’s the only person I’ve been married to), I’m very passionate about him…and our marriage…and, of course, the wedding. What qualifies me to start a “wedding planner” column*? Well, nothing much except that I’ve “been there, done that.” With very little help from anyone else, I planned and coordinated my own wedding. I picked out the songs, the flowers, the music, the food, the photographer/videographer, and everything else by myself. And I did it all on less than $5000 (or was it less than $3000?). Anyway, it was pretty cheap because we didn’t have a lot of money to put into it. 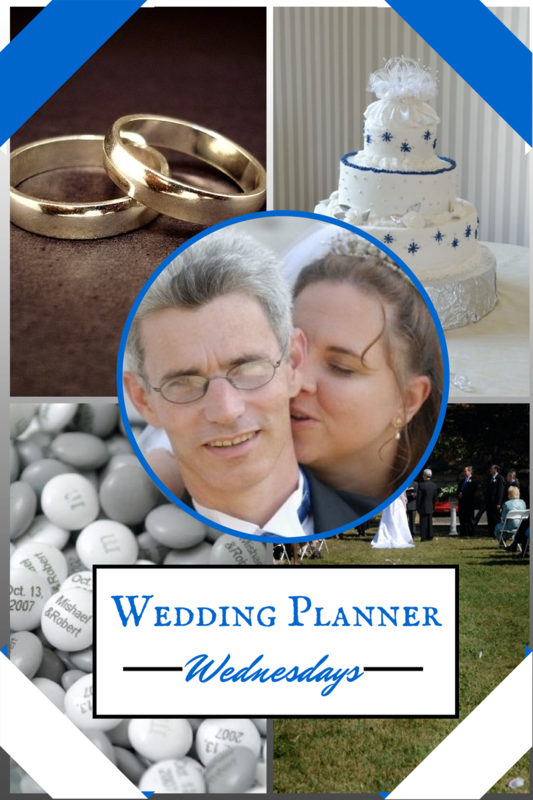 So, I know how to plan a wedding…and I know how to plan one on a very tight budget, which I’m sure will come in handy in the future since I have two little girls who will most likely get married one day, and I’ll have to help them plan and pay for their own weddings. You won’t find professional advice here. I’m not a professional wedding planner, so I can’t offer that. I will, however, do my best to answer any questions that you might have. I’m pretty good at researching, so I might be able to discover the answer to the question, anyway. I will share my completely amateur, yet experienced, tips on decorating ideas, reception food, photography, color schemes, ceremony venues, and more. To kick this off, I’ll be starting with a delicious recipe for a Kentucky favorite that would be a big hit at an early afternoon wedding reception, when you don’t want to serve a big meal. Hint: This is a GREAT way to save a little on catering, and you can even do-it-yourself to save even more money! I do hope you’ll join me on this venture. I know it’ll be a lot of fun for me, and I’m hoping that my readers will feel the same way. And, in the grand tradition of “I’m not a doctor, but I play one on TV,” I’d just like to add, “I’m not a wedding planner, but I’m writing about one in this new series by Helping Hands Press. It’s a crazy, fun ride through the daily life of an overworked, underappreciated wedding planner named Heather who’s trying to keep it all together, while still taking some time out for a personal life and a new relationship with a guy on the rebound. If you like lighthearted romantic comedies, this is the story series for you. The first five volumes are available now. The sixth is coming very soon, and they’re all available for only 99 cents for Kindle, Nook, Kobo, and more. Check it out! You won’t be sorry. So far, everyone’s raving about the series, and the other authors and I are having a blast writing it. We’d love for you to join in the fun too!